The guys behind three recent startups, Bypass, Yorder and Snagmobile, didn’t understand why sports fans had to leave the action just to get a beer and set to work on mobile apps that would let you order right from your seat. 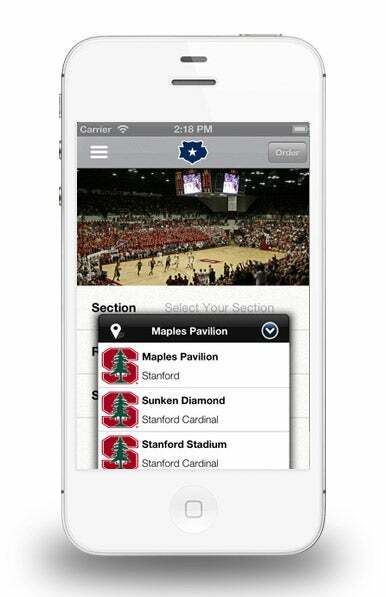 Now, their apps and software are letting sports fans place orders at huge arenas, small minor league stadiums and even food trucks. It's part of a trend that's fueled by consumers' ever-present mobile devices and technologies that have made mobile payments easier than ever. All three startups say Square, the small credit-card reader that plugs into smartphones and tablets, helped modernize the old-school point of sale at sports venues, making it more mobile, cheap and convenient for the consumer as well as the concessionaire. Brandon Lloyd, chief executive of Bypass, which just set up food delivery in the new Barclay’s Center in Brooklyn, N.Y., says tablets cost a tenth of the price of new registers. “There’s a point-of-sale sea change going on,” he says. 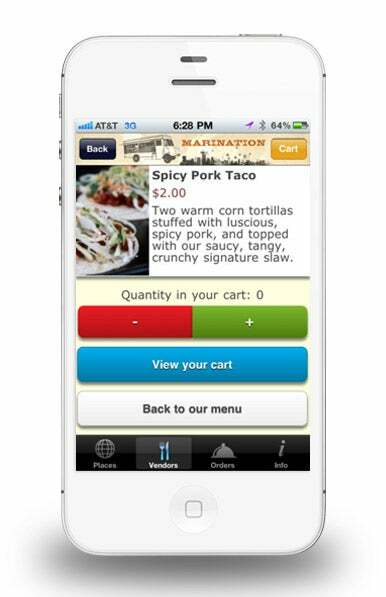 The apps are designed, first and foremost, to appeal to hungry or thirsty fans. But behind the scenes, these businesses can offer crucial backend data to venues and concessionaires, from inventory updates to information on customer demographics and even things like environmental and timing effects. “We can integrate non-traditional data like how much the temperature needs to drop for hot chocolate orders to increase,” explains Kenji Kato, the co-founder of Yorder in Seattle. The companies provide the data on dashboards designed to be easy-to-navigate for any manager. Below, these founders from different companies explain further how they’re changing the way you buy your popcorn and Cracker Jacks. He and his team went back and created software that allowed for mobile point of sales using tablets of various sizes. The company provides on-site training for the tablet and also shows managers how to most effectively use the backend data that they provide, such as real-time sales, inventory and purchasing profiles. To monetize, it charges venues a monthly fee per device. So far, Bypass has raised $3.5 million in funding, some coming from big-name companies like AEG, that owns 160 venues throughout the world. The Bypass client list includes the Indiana Pacers and the Baltimore Ravens. The Snagmobile founders, Peter Yeager and Daniel Cody, had their light bulb moment in the beer line at a hockey game. “There had to be a way to grab a beer and a hotdog between Twitter updates,” Yaeger says. 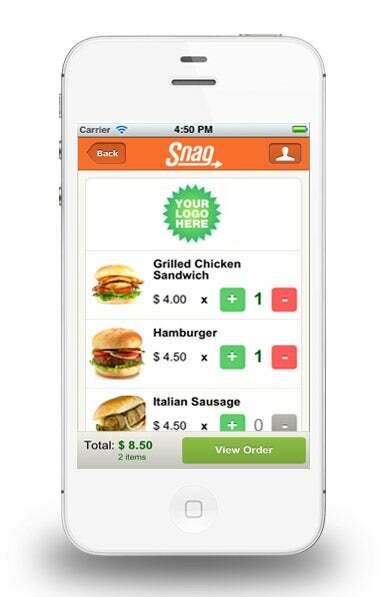 They created Snagmobile in late 2011 in Albany, launched a year later, and are now available in minor league baseball stadiums in Ohio and Upstate New York. Any venue can download the app onto a tablet to create an instant point of sale. Large venues might require an onsite visit to customize the app and train the staff. Express windows at venues with Bluetooth-enabled printers serve as hubs where sports fans can pick up orders or where receipts can be printed out and food taken to specific seats. Since launching, Snagmobile found QR codes on the back of stadium seats to be an essential advertising tool that they now use at every venue. Today, nearly 40% of all orders it receives are initiated by a QR code, says Cody. Its dashboard for managers provides basic concession info like revenue and inventory, but also shows which demographics are buying which items. Currently, it has two profit models, a monthly charge per device or a 4.9% draw of sales from the venue. It also just beat out over 100 companies to get $30,000 in funds from Startup Labs, a global seed stage investment fund. While Yorder can create a custom interface within its app, venues and even food trucks can personalize their own with logos and menus. Yorder can also provide terminals that print out tickets at venues so that food runners have the fan’s seat number when they deliver an order. Vendors can create custom metrics reports on their order history whether studying a single day of sales or the entire life of the system, explains Kato. The app charges the consumer a $.99 cent convenience fee on each order unless the outlet wants to cover that charge or run ads in the app.